Hi lovelies! Today I'm back with another 26 Great Nail Art Ideas mani. If you missed my 'Red and Pink' mani, you can find my post here. This time the prompt is 'Black and White Valentines'. I had a quick browse through my stamping plates and settled on a heart pattern I used for my anniversary a few years back. Here is my final look. Read on to find out more! I started off with a base of Pretty Serious Cosmetics 'Absence'. 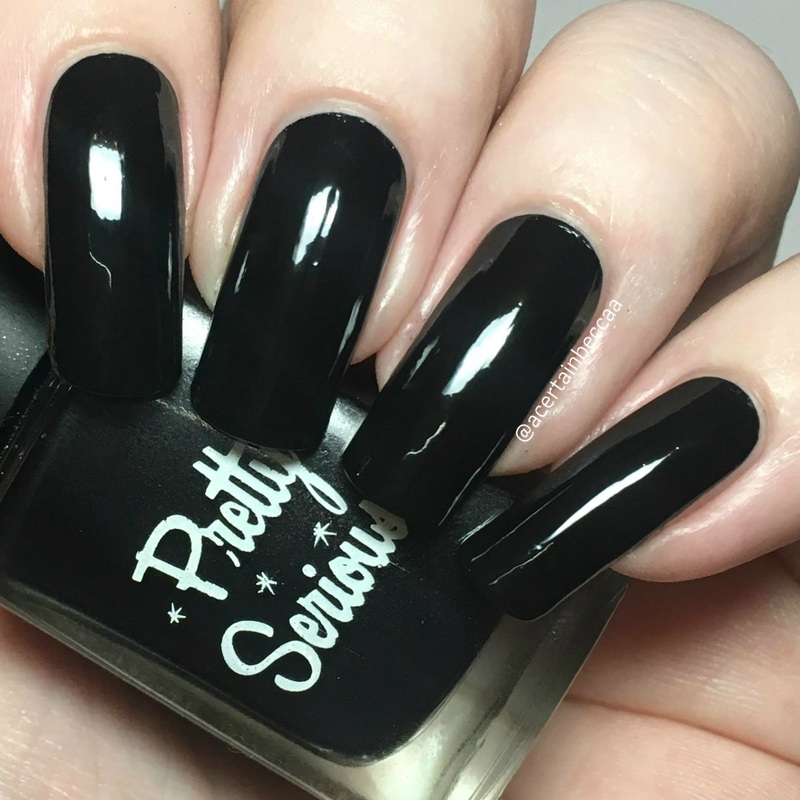 This is my go to one coater black, although for some reason I added a second coat this time (probably out of habit, who knows!). Below is two coats without topcoat, as I was already planning to stamp. To add the hearts, I used MoYou London stamping plate Princess 11. 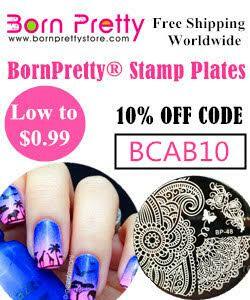 I stamped using Hit The Bottle 'Snowed In' and my Born Pretty Store clear stamper and scraper. I let the polish dry for a few minutes before topcoating. I then matted it! I haven't reached for my matte topcoat since I set my mini resolution of using it more, but I thought it would really work - I hoped it would give them a sort of 'chalkboard' feel. I used my favourite matte topcoat from Barry M.
What do you think? Do you prefer it matte or glossy? I love both ways, but I really do love the matte version! I also like the black and white theme much more than I thought I would, it seems to work really well with valentines. I would definitely wear these for a nice meal out! What a cool stamping pattern! I love these! Especially the matte version looks amazing. I am such a heart fan so this mani looks amazing to me! I love it with the matte top coat the most! Very cute! This is amazing & I agree that mattifying them makes it look like a chalkboard. I love the effect! Matte! They both look fantastic, but I just have such a personal presence for matte! I love this matte. And I also love it black and white. It's gorgeous. This is so cute! 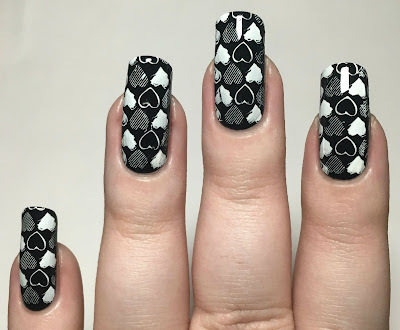 I would never think of doing black and white nails for V-Day! 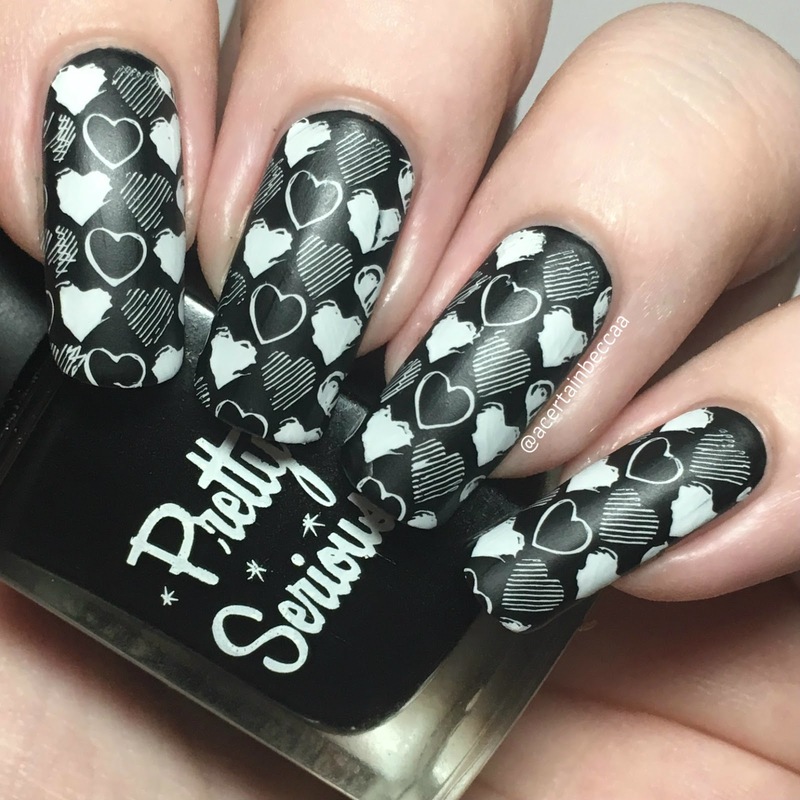 Gorgeous stamping. 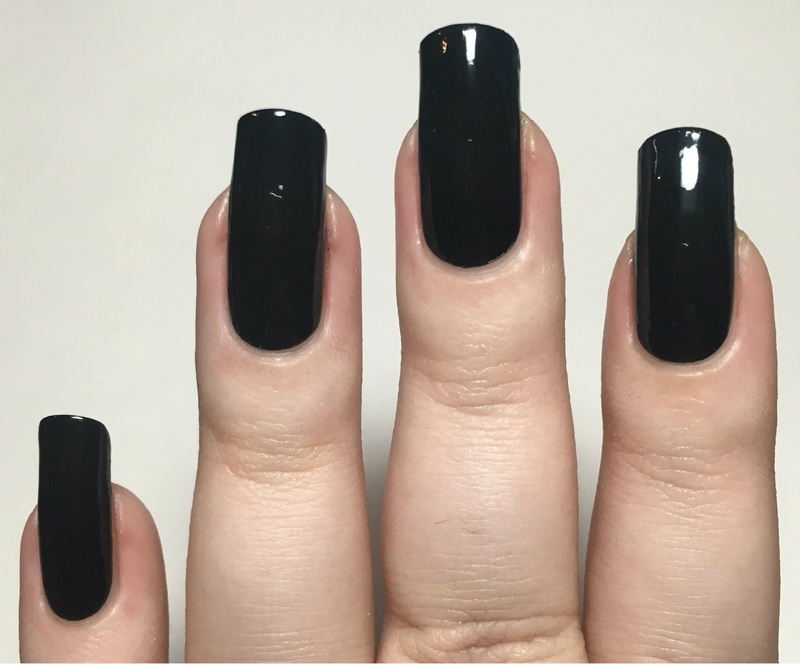 I love this clean, simple look, and you can't go wrong with a matte top coat. I love this, especially the matte version! This reminds me of the blackboard at school. Growing up I always finished my work early so my teachers would let me draw on them... this reminds me of that. I love it. Love this design! I need to get that stamper. 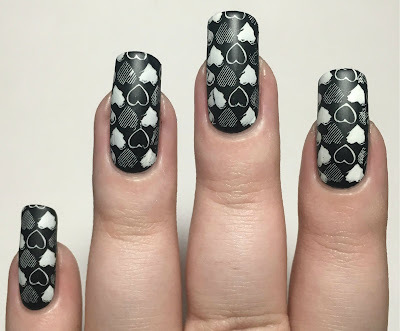 I love hearts on my nails! 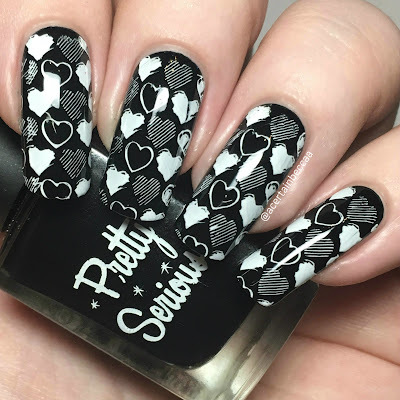 Love the black and white hearts!